Before you go, however, watch the interview he gives for the Demzly Show (who beat us to the punch for 10-Questions). EVERYTHING YOU NEED TO KNOW…..
That is the common maxim touted since I first found myself IN kindergarten. Being in Ireland right now writing this, I am inspired to reflect upon my past world travels. In 2000-2002 I spent time teaching kindergarten in southeast China. My mentor back then, Alex Abdulnour, told me something about teaching kids that I hold very close to my heart to this day. I believe that this same thing is applicable to teaching adults, as adults are just kindergarteners in bigger clothes. Apply these concepts and you will become a much better instructor. They want to know how much you care before they care how much you know. This I find to be absolutely true. You need to care about your students. They can sense when you don’t, or when you are being disingenuous. Relationships are like bank accounts. You have to make a deposit before you make a withdrawal. Before you can expect anything from your students and from people in general, you need to invest and show them you genuinely care. Have a plan prepared for them or they will have a plan prepared for you…and you won’t like their plan. Make sure you have a guideline going into class or you will be sorry you didn’t. Dogs can smell fear. Students can smell unpreparedness. You don’t have to stick to the plan exactly – but have at least a skeletal structure in place to navigate your class. Elicit positive emotions and make them feel good. If you do this, they will connect the concepts you offer with positive emotions. If you make your students feel good while learning, they are more apt to remember what you taught. Think to yourself what teachers you remember fondly? Did they care about you? Were they prepared? Did they make you laugh and feel good? Also, as with everything, be a critical consumer of information (another tidbit given to me by Alex). Take what I say, and weigh it like you should all incoming information. Include the concepts in this article into your teaching, and you will have far more success in empowering your students with the information you are communicating. If you happened to read our last article urging you to watch the short film- I hope you did. If you didn’t, it’s your prerogative. 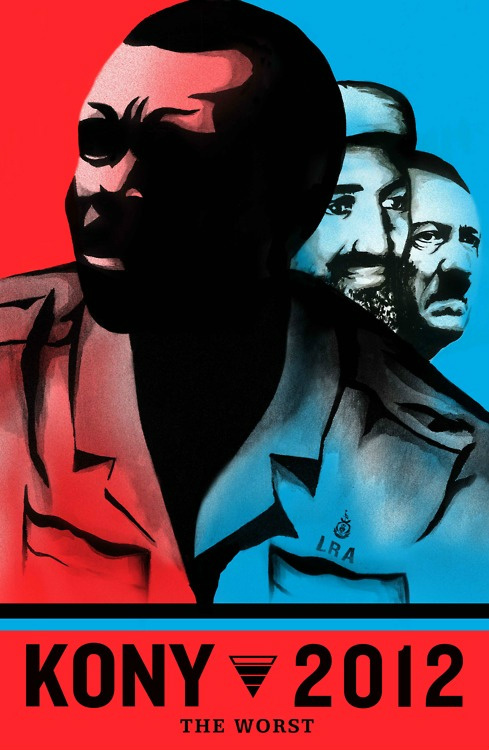 However, recent internet postings and discussions lead me to write this last piece on Kony 2012. Sure– if you or anyone blindly leaps into something without reading or trying to understand their motivation or objectives for doing so, you might not be the wisest person. However, this is not what the Invisible Children organization wants you to do. They want you to understand. 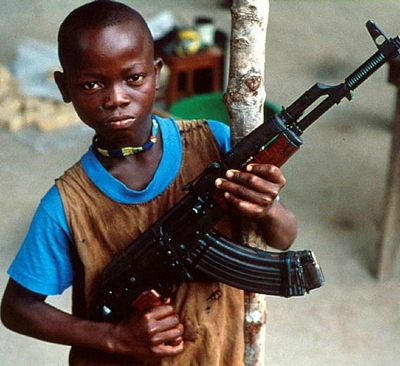 It may not be obvious to many, but there are several charities that have fought for human rights in Africa (long before Kony’s Youtube Video): UNICEF, Child Soldiers International, and the International Rescue Committee to name a few. Many of the people out there (surprisingly, several people that I highly respect) are either turning a blind eye, stamping a label of conspiracy on the project and/or trying to downgrade everyone’s energy for this project. Everyone wants to be recognized for something. Everyone wants their voice heard. Most want to be recognized for doing something good. I believe that if we look at this “social media movement” we see a great deal more: sympathy, empathy, love, charity, giving and sharing. These may be “hippie” qualities, but are the most respectable qualities that exist. The fact of the matter is that people who would not have helped, those that would never have known or never have participated, are participating because there IS “mass appeal” – which is NOT necessarily a “wrong” thing to follow! Let’s say you have a son. Maybe for years you’ve loved and played the game of football. You may want your son to experience the kind of passion and excitement that you know the game holds. So you sit with him in front of the television and you teach him the rules and maybe he gets excited to go outdoors and play – but maybe he doesn’t. Now maybe, just maybe, you place him on a team (with his friends and fellow classmates) and allow him to get swept up in the sport through camaraderie, team play, and good ol’ fashion fun? For many people, like myself, this was how I came to enjoy team sports – by doing, not by observing and waiting till it was my turn. You see… to many, sports are fun. But most like to share their experience. The Kony 2012 campaign is giving everyone the experience of “playing for a team.” Not that you couldn’t play for another team, but this might be the team that their friends play for. And that’s not a bad thing, is it? Another friend of mine that I respect suggested that those of us that support this charity are doing so to make them “look good.” But this just reminds me of the episode on the t.v. show Friends where Joey tells Phoebe that, “There is no such thing as a selfless good deed.” I suspect Joey (not the brightest bulb in the lot) is right – because when you do something, anything really… you ultimately do it because it makes you feel good about yourself. Let’s face it though – we are all selfish creatures… a certain level of selfishness is born into us, tying directly into our mechanism for survival on this Planet! But let’s not automatically confuse sharing and being a “team player” with being out solely for gold stars and lollipops. Speaking as an American, I can say that I am extremely lucky to have the freedom, level of comfort and standard of living that I have. Many people don’t. Many people don’t even have running water. We all know this and go about our daily business. And even though we had Hollywood’s push towards activism in films like Blood Diamond and Hotel Rwanda- people cannot and will not get behind a film the same way that people will rally around a cause… rally around a (team) cause. We, this capitalist and materialistic society – full to the brim with iPhones and iPads and innumerable, less-useful things, can spare money. As poor as we think we are, we can always spare something. This is just one man’s opinion. Something to think about. Feel free to comment in the box below. What looked like a political campaign (something I didn’t care about rushing to see a video of) became a touching, and motivating film centered around a great atrocity. Celebrities, politicians… and more importantly, the masses of people around the world are viewing, being moved, and recognizing that something has to be done. I urge you to watch the video and, if moved to, share this with your friends and loved ones. If you wish, you can help the project by donating and/or getting your very own Action Kit. The efforts worldwide are to culminate on April 20th, 2012 in an event called, ‘Cover The Night.’ Supporters will meet at sundown and “blanket the streets” putting up posters and stickers. For more information, please visit the organization’s website at http://invisiblechildren.com. 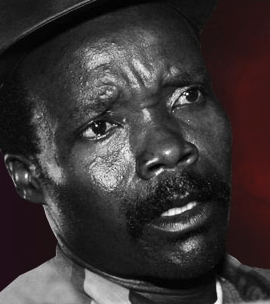 One of the aim’s of this project is to make the man Joseph Kony (pictured above – left), the leader of the LRA so famous, that something is done about it. With the spotlight on Kony such that is growing brighter by the hour, we have every belief that he will be apprehended. To all our readers, thank you for your part in this – if only for the read. At the least, now you know! *At the Combative Corner, we respect your opinion & thoughts on this matter & although we do not (normally) take such a vocal stance on a subject like this (outside of the M.A. ), the message is an important one that should be expressed. We learn & grow in order to create balance, to create peace. In some instances, to end violence. This is surely a message that we all can get behind.